Sharing teaching tips, lessons, and activities for elementary teachers in K-5 classrooms. 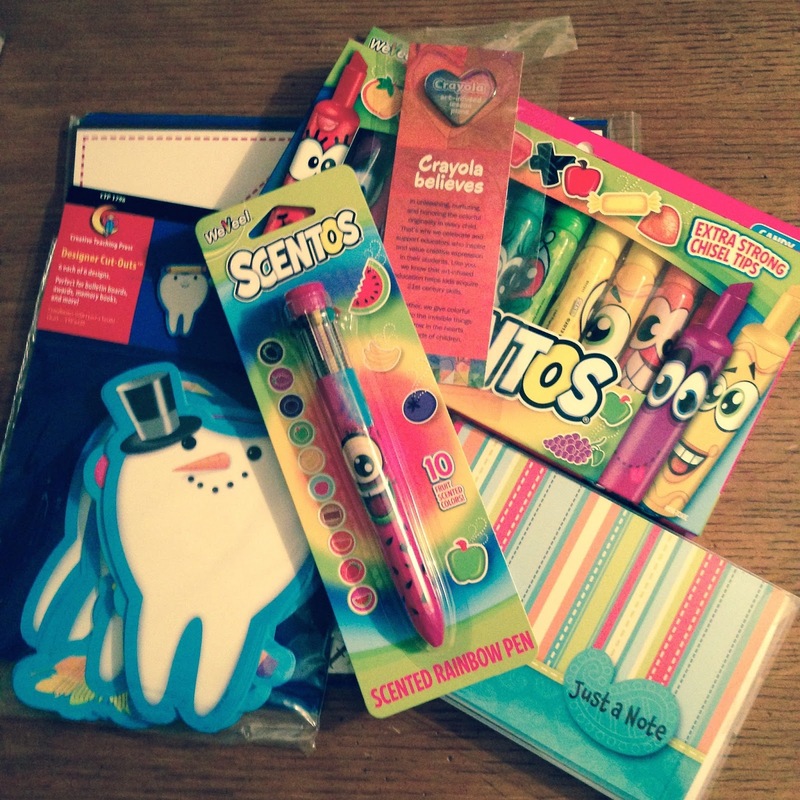 Featured topics include Whole Brain Teaching, Close Reading, Common Core, Seasonal FREEBIES and crafts. Save time, reduce prep work, and make learning fun! 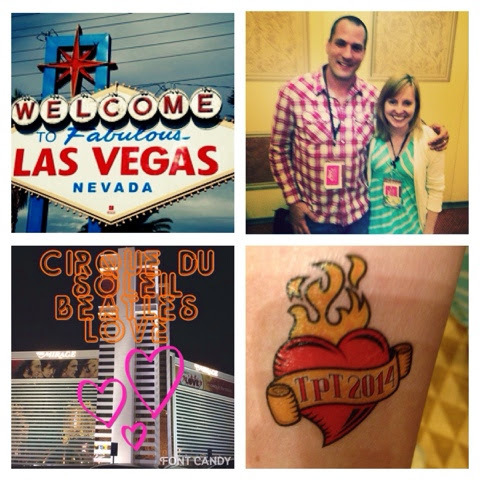 The First Ever TpT Seller's Conference in Vegas #TpTVegas14! Updating this blog post (previously Blogging live from....) to join in the linky party hosted by A Burst of First. If you click the graphic below you can check out her blog and link up too. I am super excited so pardon all the exclamation points coming at you! Before I get to the Vegas experience, I just want to say it has been a whirlwind of nonstop busy-body-ness since I last posted on here. Does anyone else suffer from busy-body-ness or is it just a teacher gene? In June, before class ended with my students, I started back to my third and final year of summer MAT classes at SDSU, while packing up my classroom so janitors can make the floor look like new again. This meant dividing up my time between LA and San Diego for six weeks. Also packed into my schedule was a week of PD and planning time at work, and followed by the week-long Annual Reading Conference held at San Diego State required for my program. How did I manage it all? Well, thankfully I chose this summer program as it incorporates blended learning, which is where some learning, collaboration, and work is done online while you also meet for class in a physical location. Below in an info-graphic about blended learning from last day of the reading conference at SDSU that was presented by tech coordinator, Alex Gonzalez from HSHMC. This wonderful high school is in part ran by my wonderful professors, Nancy Frey Doug Fisher, Diane Lapp, Kelly Johnson from my Master's degree program. Check out http://www.fisherandfrey.com for more great resources from these guys as well as great videos of close reading in action!I must love packing or torture because I just moved to a new place the week before my graduation and final papers were due! 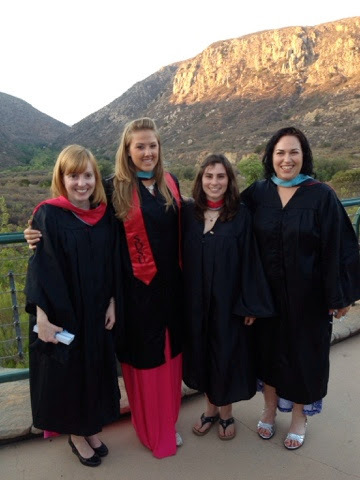 Here’s a pic of my best teacher buddies and fellow classmates who helped me survive the Master’s Degree Reading Program in K-12 Literacy. I heart these ladies! Whew, I’m a little exhausted but still trucking and having a blast here in Vegas. 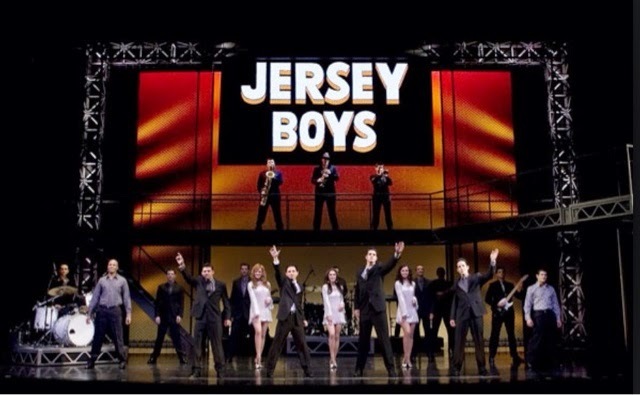 Last night I went with my parents to see the wonderful Jersey Boys show! I had been dying to take them forever since my father was a teen in the 50’s and mom grew up in the 60’s so Beatles Love will be our next show before we depart Vegas. I definitely get my love of music from my parents. Jersey Boys was basically a musical style production and worth every penny. The way the live singers were able to invoke and mimic the exact sounds of Frankie Valli and the Four Seasons was absolutely fabulous!!! I’ve seen Beatles Love by Cirque du Soliel before so I highly recommend it as well. (Update: My parent loved the show! Best they have ever seen they said! I agree.) Their music is a beautiful soundtrack to an avant-garde type set with beautiful costuming and amazing acrobatics that tells a story. If you make it to Las Vegas and you are a big fan of oldies like myself, you will thoroughly enjoy these shows. Yeah I’m a little crazy with scheduling too much at once sometimes. I truly suffer from busy-body-ness. 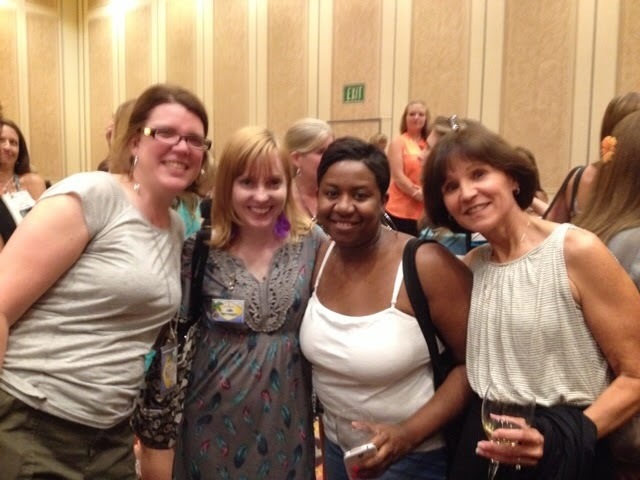 I graduated Tuesday night of this week then left for Vegas the following morning so I could make the 2nd ever Teacher-Blogger Vegas Meetup 2014 where I got to meet these wonderful people on Wednesday. If you can, check out Nicki Robinson's blog (she is pictured on right side of me below) as she also teaches third grade, but in Texas. I am also excited I got to meet the wonderful Amy Lemons and Rachel Lynette whose blogs I follow and products I love to use. Finally let’s get to today’s happenings!!! So far I was able to enjoy key note speakers Paul Edelman (TpT founder and pictured with me below. Squee!) Deanna Jump (TpTs top million dollar seller) and John Yoo ( TpTs CEO) this morning. Then I went to a wonderful session by the Flutter Girls who happen to teach just north of where I work. They presented on the A to Z with TpT: Master the Basics. I learned a lot and I’m excited because they also have a local blogger meet up I can attend. 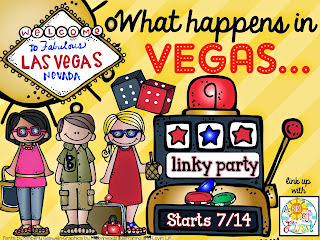 My second workshop for the day was Rock Your Own Clipart with the creator of Melonheadz Graphics with Nikki Casassa. Her heartfelt story of how she got started (much like Deanna Jump’s story) will cause you to bring out the hanky. Such an inspiration! I learned so much from all these talent ladies. I can’t wait to see what’s in store for me this afternoon! 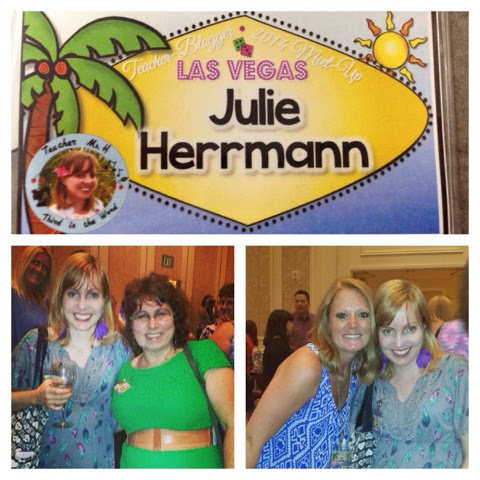 Happy learning to all my fellow bloggers here at #TpTVegas14. © 2014 J.M.Herrmann. Powered by Blogger.